Dr. Bitner is a hair restoration surgeon in the Salt Lake City, Utah area. He provides both cosmetic surgery and reconstructive surgery of the face, neck and scalp. Dr. Bitner is the only physician in the state of Utah and one of only a handful of physicians in the world who is fellowship trained in both Facial Plastic Surgery and Hair Restoration Surgery. Please click HERE to go to Dr. Bitner’s Facial Plastic Surgery website focused exclusively on cosmetic and reconstructive procedures of the face, neck and scalp. Dr. Bitner was born and raised in the Layton, Utah region. He attended the University of Utah in Salt Lake City, Utah where he received his bachelor’s degree. He was then accepted into the exclusive MD/PhD combined degree program at the Roland Franklin University/The Chicago Medical Schoolin Chicago, Illinois and received a full scholarship during his medical school training. He excelled in medical school, graduating with a 4.0 GPA, ranked number one in his class and achieved the highest USMLE step 1 board score in the history of the school. During medical school he earned both a PhD (physiology and biophysics) and MD degrees. He was selected as a member of Alpha Omega Alpha (AOA), medical honor society, during his junior year. He continued his training and was then accepted into a residency program at the prestigeous and world renowned Mayo Clinic in Rochester, Minnesota in the department of Otolaryngology/Head and Neck Surgery. During residency, he found particular interest in surgical treatment of head and neck cancer and the reconstructions necessary to restore form and function. Patients came from around the world to have cancer treatment and reconstruction at the Mayo Clinic. He recognized that of all the areas of ENT/head and neck surgery, he most enjoyed the subspecialty of facial plastic and reconstructive surgery. After residency, he was asked to be part of a coveted fellowship program to further hone his skills in the area of facial plastic surgery. 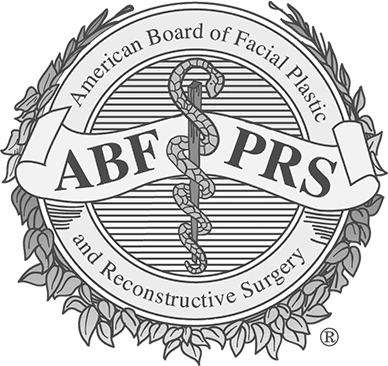 He was trained in fellowship under the tutelage of Dr. Daniel Rousso, past President of the American Academy of Facial Plastic and Reconstructive Surgery (AAFPRS), in Birmingham, Alabama. The fellowship was co-sponsored by the International Society of Hair Restoration Surgery (ISHRS), of which Dr. Rousso is a past-President. Again, Dr. Bitner is the only physician in the state of Utah who is fellowship trained in both Facial Plastic Surgery and Hair Restoration Surgery. After completing his schooling, Dr. Bitner had an opportunity to return home and work alongside his father and many other excellent physicians at the Tanner Clinic. He brings world-class medical training and experience back to Utah. Dr. Bitner comes from a long line of physicians. He is proud and honored to carry on the legacy of the highest quality medical care and compassion that his grandfather, father and uncles have provided to members of our community. Dr. Bitner is married and has seven wonderful children. When not at work, Dr. Bitner most enjoys spending time with his wife and children, usually on the slopes or on the lake. He also enjoys riding bicycles (mountain and road) and races on the Biker’s Edge racing team sponsored by the America First Credit Union, playing golf and competing in triathlons. Please call to schedule an appointment to come meet Dr. Bitner and his staff. Do you have questions about facial plastic surgery or hair restoration surgery? Feel free to email Dr. Bitner anytime by clicking HERE. He will respond to your emails personally. You can contact Dr. Bitner’s staff for an appointment directly by email at [email protected].